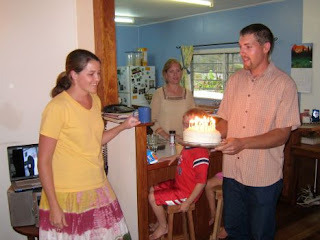 Even though Brian had to work on my birthday, he made it up to me by planning a party with some friends the following day. He even made me this cake, all by himself! 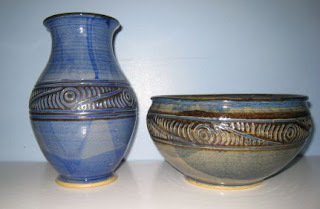 He also bought me some lovely pottery from a local studio. Way to go Brian!! Now you need to pick Susan some nice flowers to put into the vase.